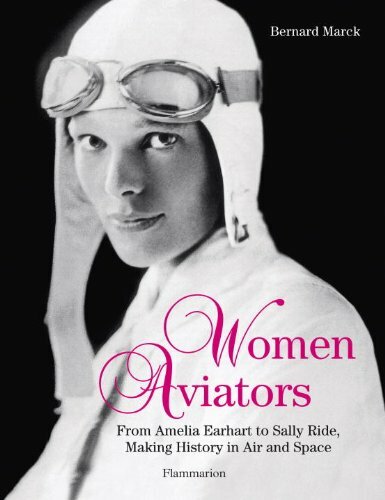 This volume charts the rise of women in the male-dominated field of aviation through the stories of record-breaking aviatrixes: from those who piloted the earliest aircrafts to the first women in space almost a century later. These women from across the world took to the skies, fighting their way to recognition against all odds. Bessie Coleman, an African American born into a humble cotton-picking family, worked as a laundress and manicurist to pay for flying lessons. She went on to become a fully fledged performance flier, the first of her race. The formidable Harriet Quimby was the first woman to gain a pilot license in the United States, and the romantic Amelia Earhart was the first woman to fly across the Atlantic&#x2014;her mysterious disappearance continues to fascinate. The backgrounds and life stories of these women differ wildly, and yet they all offer a reminder of what can be achieved through ambition and perseverance. This book will delight lovers of heroic feats with its inspirational tales of bravery about the women at the helm of airships, rockets, and airplanes, who often proved themselves more capable than their male counterparts. <b>Bernard Marck</b>, historian and former correspondent for <i>Flight International</i>, has edited and contributed to many airplane publications, and has written six books on individual pilots and the technical history of aviation.